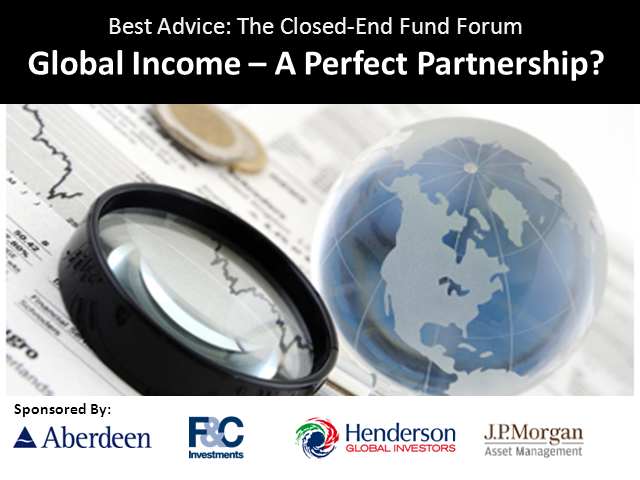 Global Income – A Perfect Partnership? In the current economic climate of low interest rates and low or even negative returns, income funds are fast becoming the must-haves. In this session, we’ll be talking with a panel of global equity experts on where they’re seeing compelling opportunities for growing income; why it is that their investment trusts have been able to deliver steady, predictable income growth for their shareholders; and why global income isn’t just a passing phase. Title: Global Income – A Perfect Partnership?